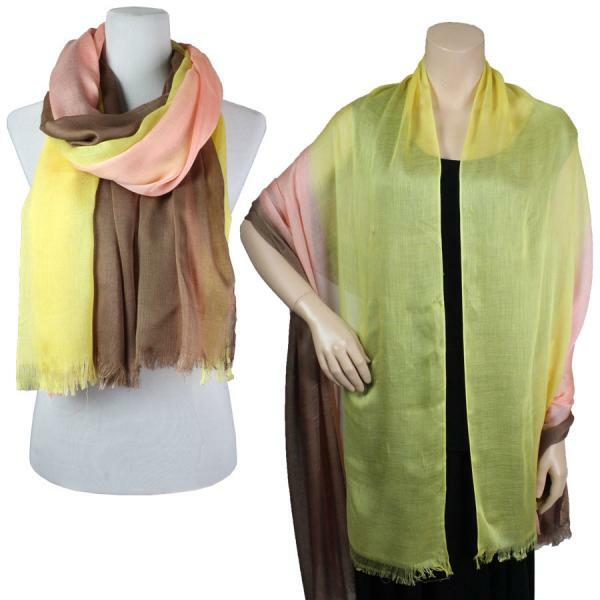 This piece will work beautifully with solids or prints. 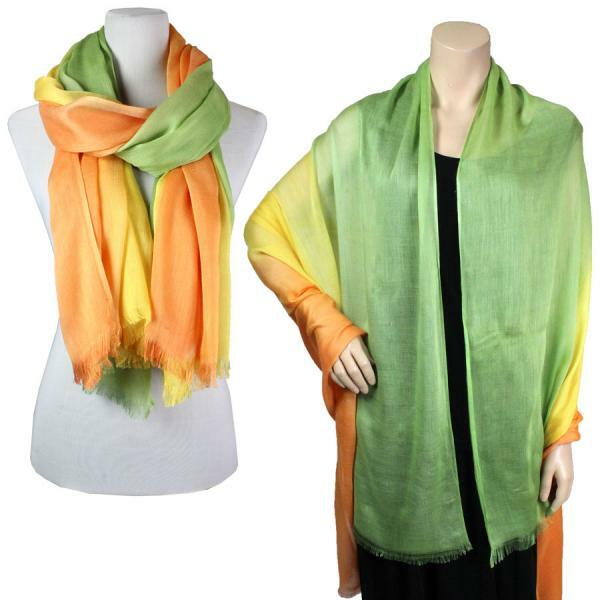 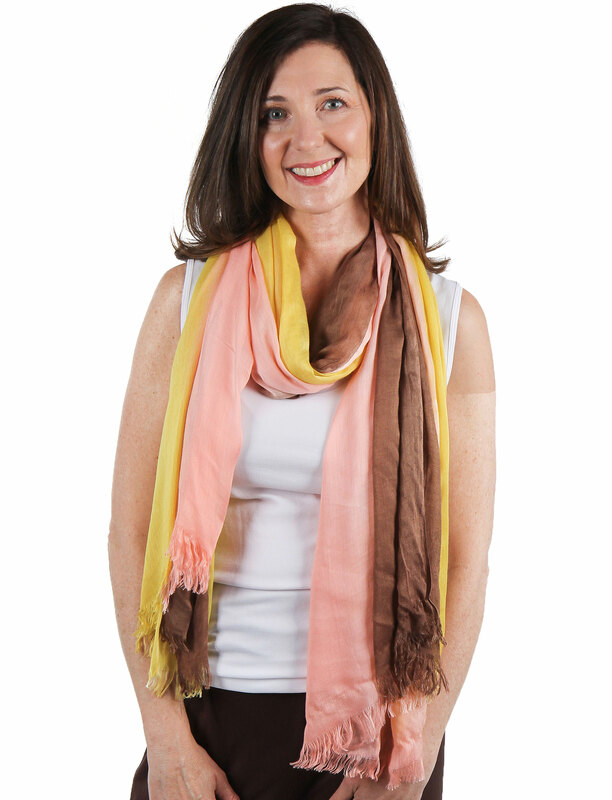 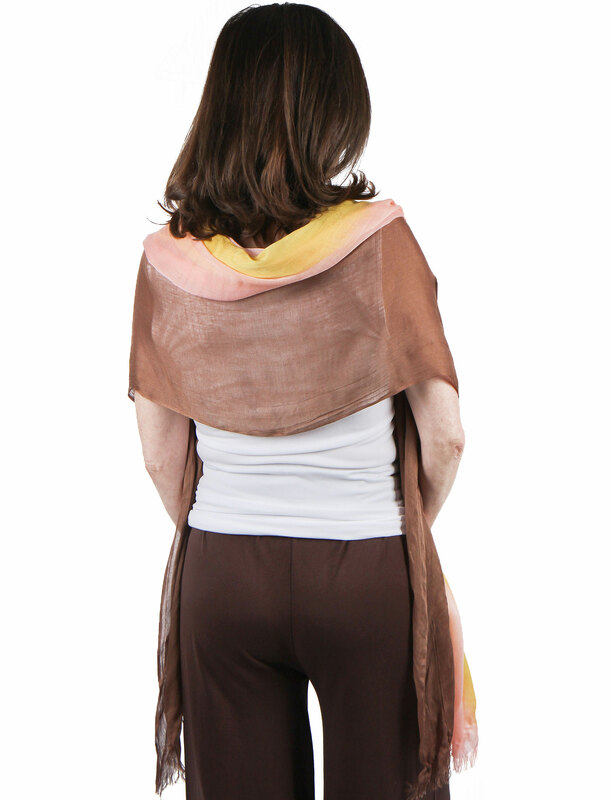 It is a tri-colored piece with self fringe and a very nice drape and soft texture. 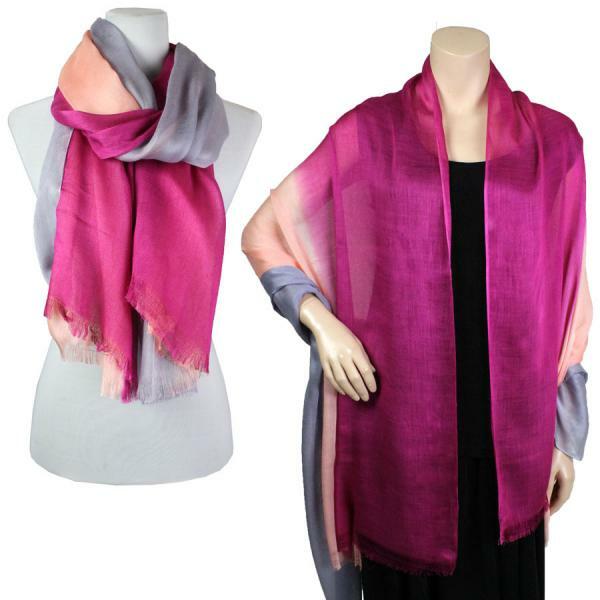 It is large enough to be worn as a shawl or a big bunchy scarf!